A pair of horse portraits, Equinox & Forester, a dark bay and a grey, each shown in their loose box. Painted by Edwin May Fox and within their original gilt gesso frames. Equinox signed lower left E.M Fox and dated 1833. A clue to the commissioning landowner being the initials E.N.K painted on the bucket. Provenance with Fores, 41 Piccadilly, London. 32.5 in x 28.5 in., canvas size:23.5 in x 19.5 in. 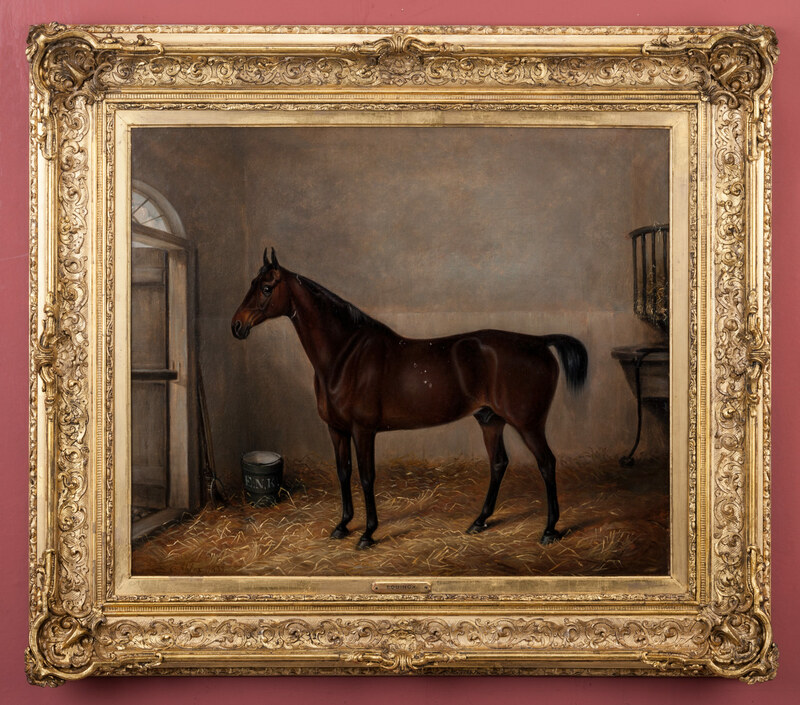 Edwin M. Fox was a Birmingham artist who produced portraits of racehorses and hunters, both out of doors and in their stables often accompanied by dogs. He also recorded prize cattle and other animals. 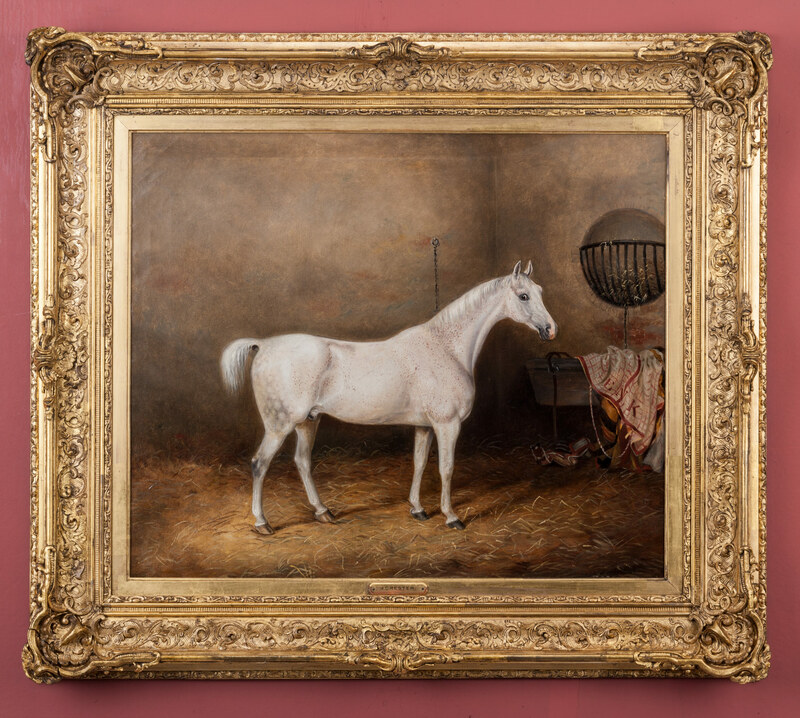 Between 1830 and 1856 he exhibited 27 animal paintings.